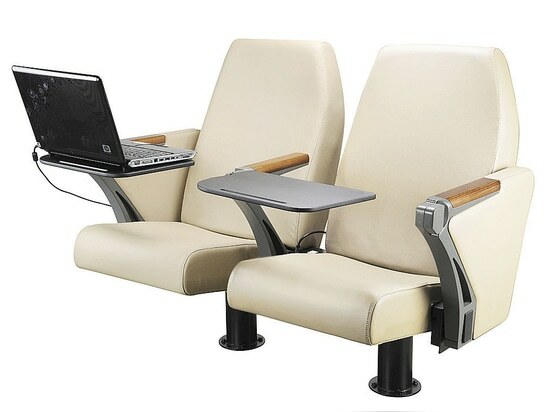 The seat is specially designed for narrow space lecture rooms. 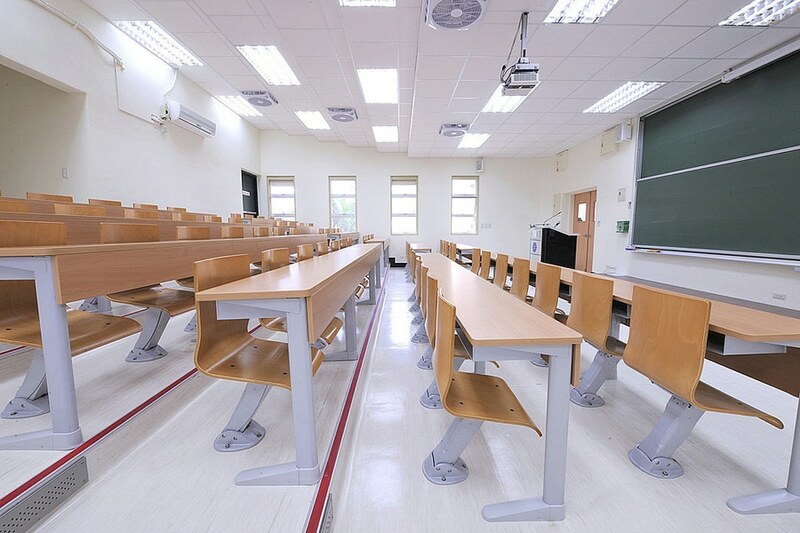 Fits to lecture rooms with step from 850mm depth. The base of seat is fixed on the floor, swing forwards and backwards for easy entrance from the path behind. And it creates a clear walkway automatically when the seat us unoccupied. * Wooden table top with laminate surface. * Single-piece curved plywood with painted finish. * Steel frame with powder coated. In this case, due to the curve of the stairs, we customize the racks to fit the curve stairs. 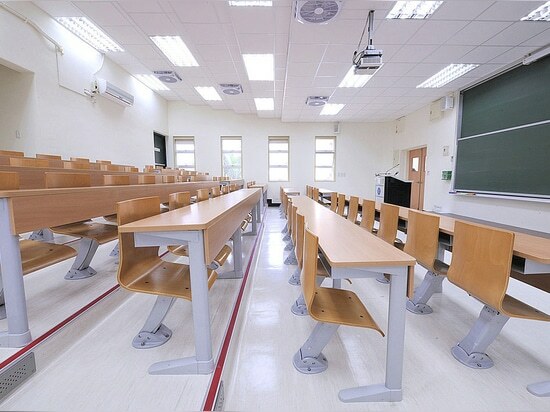 Moreover, riser mounted leg are also used, which can make the whole place look more tidy and easy to clean. 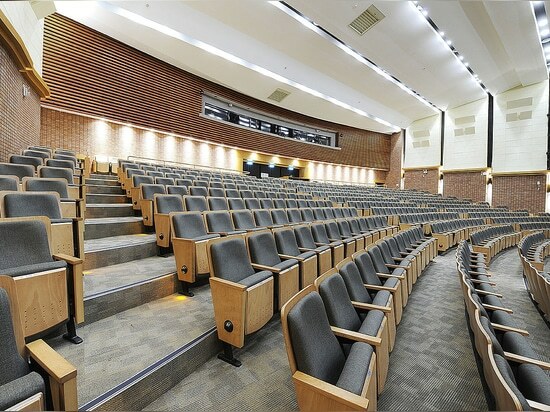 The design of the auditorium seating use beech as the main material to decorate the surface of the chair, concise and dignified. 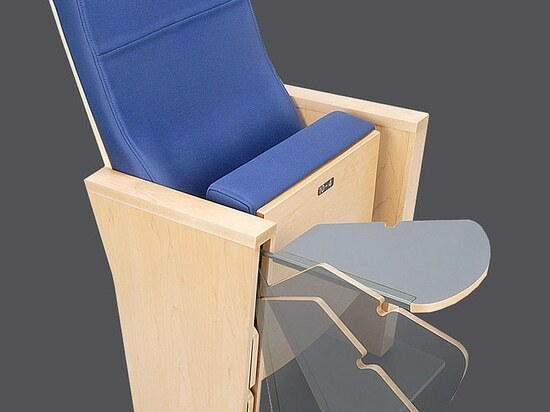 One of the finest designs of auditorium seating from our collection. It outstandingly presents the craftsmanship of wood that houses the entire structure beautifully. The anti-panic writing tablet folds back quietly and smoothly without creating noise which could be a little offensive during conferences or meetings. It is completely concealed in the wood frame and would provide a uniformed visual impression to the interior of the space.